Panoptes only uses highly experienced Level 1 surveillance trained former Police Detectives and military personnel for surveillance operations on behalf of our clients. 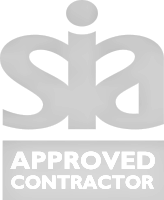 All of our operatives operate ethically and with integrity and are fully conversant with the latest legislation and where appropriate comply with RIPA. Our operatives utilise a variety of methods including mobile, foot and technical surveillance, to obtain evidence on behalf of our clients, which can be presented in a professional format to meet civil or criminal standards. Panoptes is also able to offer unmanned, bespoke covert camera solutions or technical methods as a cost effective alternative to a surveillance team. We are able to protect our clients’ businesses by conducting pre-employment screening and integrity testing. Our operatives are also able to support our clients’ sickness absences and return to work policies. We are able to use our investigation and surveillance skills to ascertain the veracity of legal cases in which our clients are involved. We are able to use a range of surveillance methods ranging from full surveillance to targeted evidence retrieval. We conduct mystery-shopper investigations on behalf of a number of high profile corporate clients in order to protect their brand integrity and intellectual property. We understand that surveillance is a characteristic of modern living but when this becomes too much, we offer a discreet and highly specialised service to combat any physical or electronic surveillance methods. As this is a highly sensitive subject, please contact us for further information.